1 MC - Attention All Hands! FOR TCH VETS ONLY! Welcome to the Ship's Office. If you are a TCH vet (this includes all AIRDET/TAD/TEMDU personnel), please take a moment to add yourself to the Master Sailing List. You do not have to join TCHVA (but we'd love if you do because we need your support) to muster as part of the crew. 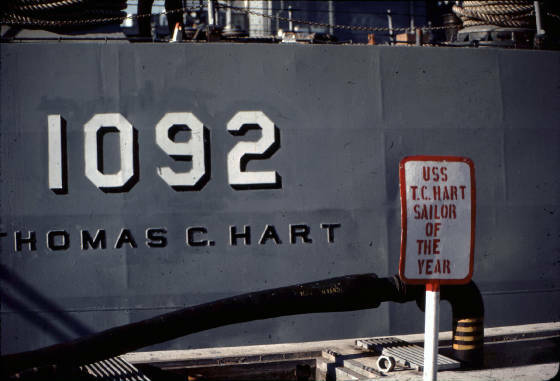 Our intent here is to attempt to record the names of as many T C HART vets as possible. To "muster", please click the "Sign My Guestbook" link below. Use the form at the bottom of the page to leave us your contact information so we can share it with our members only. This will enable your shipmatesto make contact with you!